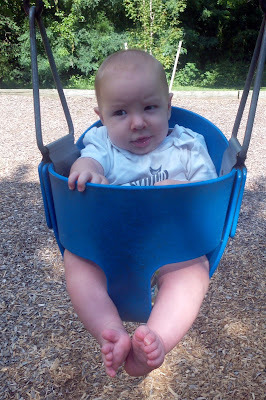 He might still be a little young for it, but we plopped him in the swing anyway. 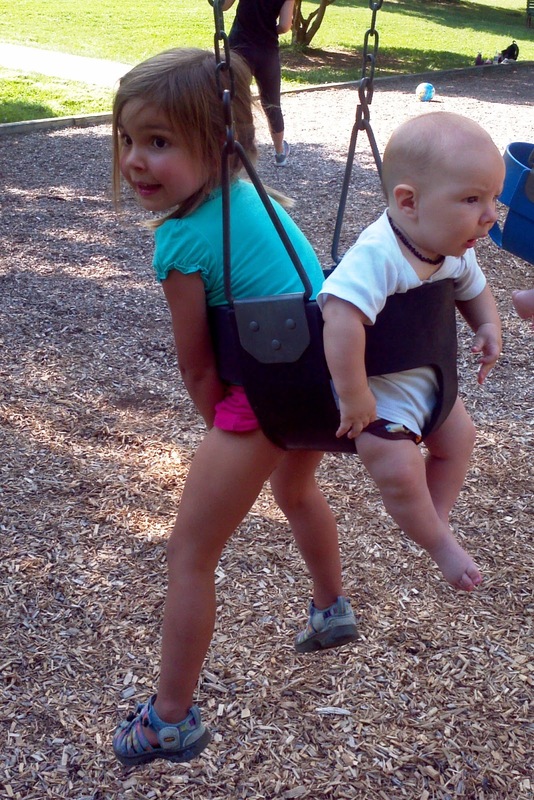 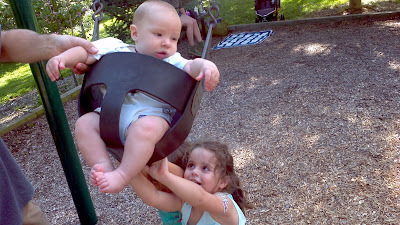 Hopefully his sister and her friends will always want to help out and lend a hand when he needs a little push. 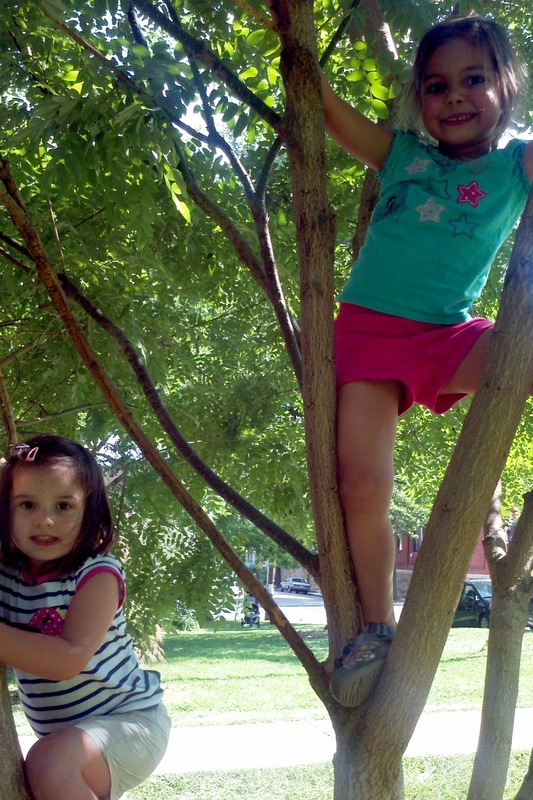 Hannah is far more entertained by this tree on the edge of the playground than she is by the playground equipment. I can get behind that. And there you have it: one random summer afternoon in Hampden.